All of these things can be true at times in our worship gatherings. Indeed, the Spirit of God does “interrupt” even the best laid plans. It is good to be flexible: to hold our own plans with a loose grip, ready for any interruptions or additions the Spirit of God may bring our way. However, the Church is a people whose lives are and have been Spirit-led throughout history. The Holy Spirit’s work, while sometimes spontaneous and mysterious, can also be experienced in planning, preparation, and even tradition. Like spontaneity, the tools of preparation and planning are also at the disposal of the Holy Spirit as we enter every worship opportunity. In fact, exchanging prayerful planning and the wisdom of the history of the Church for a ministry that is consistently seeking mere spontaneity can soon become laziness. Christian leaders throughout history, including John Wesley himself, have reminded the Church that preparation is a tool of the Spirit of God that allows for His work to be consistently experienced in the life of the Church, which includes the life of the preacher. So, as a preacher, I have learned that the lectionary can be one of many preparatory tools that invite me to trust God’s Spirit. The lectionary assists me in trusting the ways in which the Spirit of God has prepared other men and women of God in regard to sermon preparation and in putting forth consistent themes in worship. The lectionary reminds me that God’s Spirit has already been at work – preveniently, as Wesley might say – even before I sat down to prayerfully consider what message the Spirit of God would have me bring to the people of God gathered in worship. Best of all, using the lectionary reminds me that my own creativity and planning are not the only tools available to me or to my congregation as we gather. Instead, the wisdom of the greater Body of Christ throughout the world and throughout history become available in helping me to plan and prepare the themes of the service and my own message. Since the lectionary covers a good portion of the whole Bible in a three-year cycle, I can also be assured that the Spirit can use the lectionary to help deliver the “whole counsel of God” to my parishoners, and not just my favorite passages. This stretches me as the preacher to make sure that I am not getting lazy in my delivery. It allows the Spirit to say things through the preparation that might otherwise be considered passive-aggressive attempts to “preach at” someone, unfairly using the pulpit to my advantage instead of to the advantage of God and God’s purposes. Using the lectionary keeps everyone on the same page, not just within the congregation, but also outside of our own local church and denominational spheres. Many times in my preaching ministry I have had conversations with parishoners who attended a church on vacation and returned to find that they could still discuss the sermon topic with those who attended our church, because both preachers preached on the lectionary text. Once I even had parishoners whose children attended a different church with friends on a particular Sunday. When the children returned Sunday afternoon and their parents asked about the church service, they found that they could all have a conversation about the sermon, since both preachers – the preacher whose church they visited and me – used the lectionary. The parents expressed their delight that they could discuss the same text taken from slightly differing perspectives in the sermon that day! This way, when the Spirit works through our own preparation and the preparation of the Church universal, our congregants can be assured that we are not manipulating or using the texts in an unhealthy way. Rather, we, like they, are being directed by the Spirit of God working through His Church to accomplish His mission in our message. 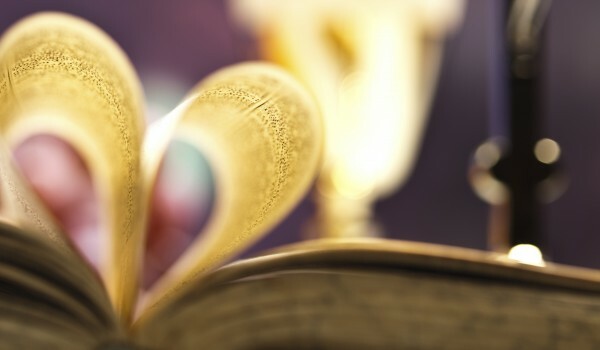 Give the lectionary a try, especially as we enter this important time of Lent and Easter, and see how God directs your services for His glory. Charles W. Christian is Lead Pastor of Cameron Church of the Nazarene (Cameron, Missouri) and an Associate Editor of Preacher’s Magazine.